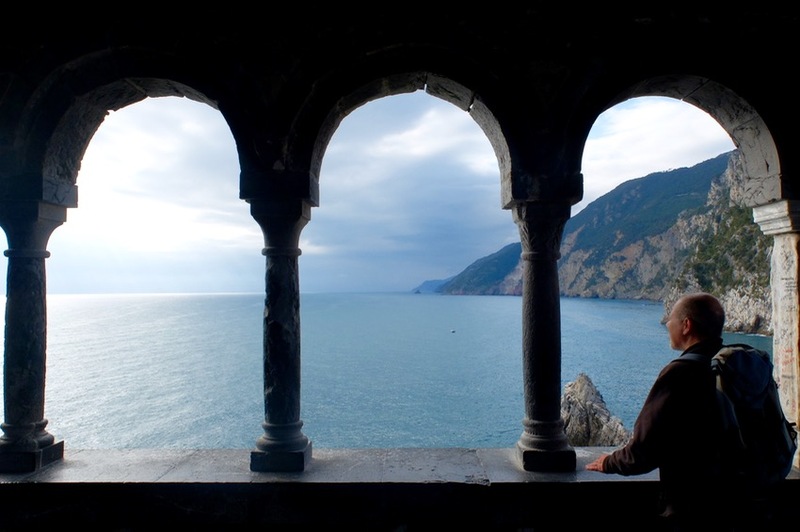 A quote not picked by coincidence, instead Lord Byron was no stranger to the charms of Portovenere, it was his preferred choice of meditiation the side of the mediterranean. 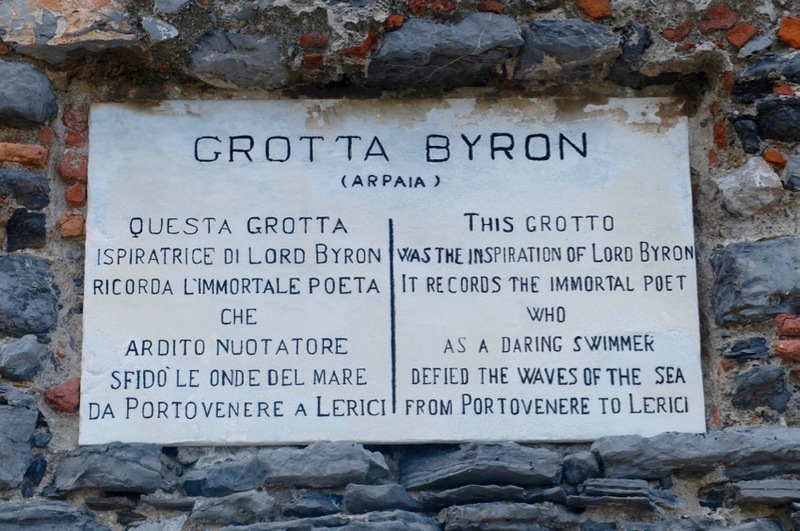 So much so that once in 1822, he even cheekily swam 7.5 kilometers despite a club foot to visit his friend and fellow poet Percy Shelley who was at the time in Lerici, a route that remains immortalized every year in a special swimming challenge coined ‘Coppa Byron’ in the same place. I won’t be taking place in that anytime soon. Than it should come to no surprise that this area of Italy is coined the Golfo dei Poeti or ‘bay of poets’ for romantic icons from the 18th century by the names of Byron and Shelley that fell in love with its sinous wild bays, turquoise waters and quiet villages along the Ligurian coast of Italy in the province of La Spezia. It faces the three lovely islands of of Palmaria, Tino and Tinetto. It’s easy to see why anyone could fall in love here, but more on that later. 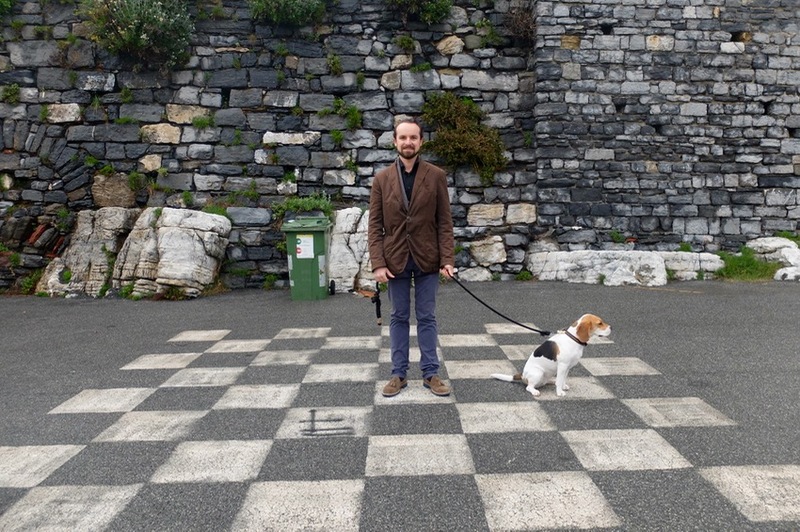 Nico and our beagle Ginger got our own siren’s call to this pretty place this past April in our dusty Fiat 500, we left for a weekend in Byron’s happy place and set out to find inspiration in a place that attracted to many famous personalities in centuries past. 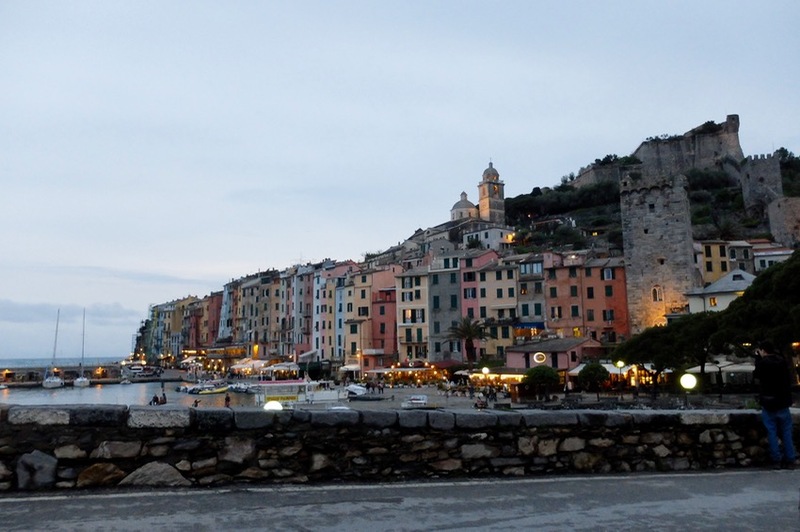 This itinerary is for anyone who wants to just stay in Portovenere and enjoy its simple delights, since we were there in April, we didn’t take a boat trip around the various islands or the Cinque Terre Ferry, and I’m ok with that. 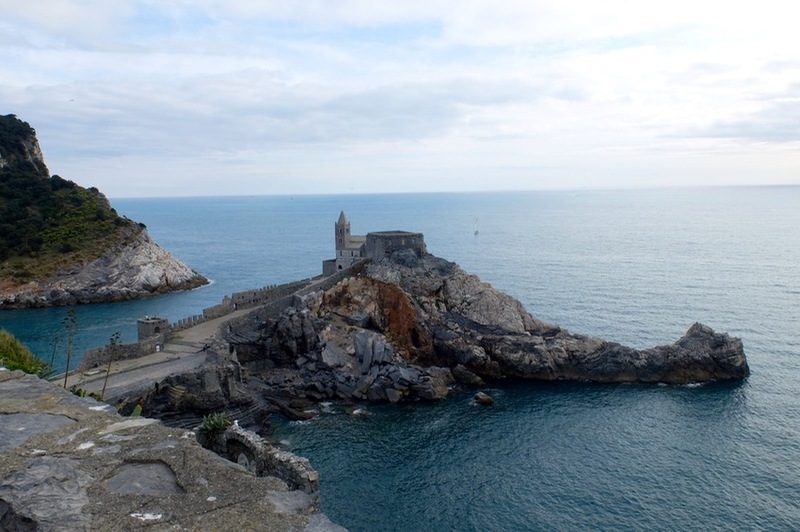 However you can and should hire a boat to explore the islands around Portovenere, also the hiking path ‘sentiero rosso’ to Levanto starts here. Arriving on Friday and avoiding the traffic was a godsend, but then again, it was only April. Somehow we managed to find the obscure entrance to the parking at Grand Hotel Portovenere on via garibaldi by the side of a cliff and made our way to ‘home’ for the next two nights. There are only 56 rooms at the Grand Hotel but it exudes pure class housed in a former Franciscan convent. The view here could make a poet sing and directly in front of the ferry to the other towns, you couldn’t get better than this. I felt truly relaxed for the first time in a long while. Facing the lush island of Palmaria, we opened the windows to the terrace with the best view in town in front of our faces. Sure it was set to rain and whatnot, but like I would let a few droplets ruin our adventure? If Byron could handle 7.5 kilometers of Mediterranean sea, um yes well we could handle some rain. After settling in, it was time for my favorite part of any true holiday, the first walk around town with my husband and dog in tow, all I need in life, really. 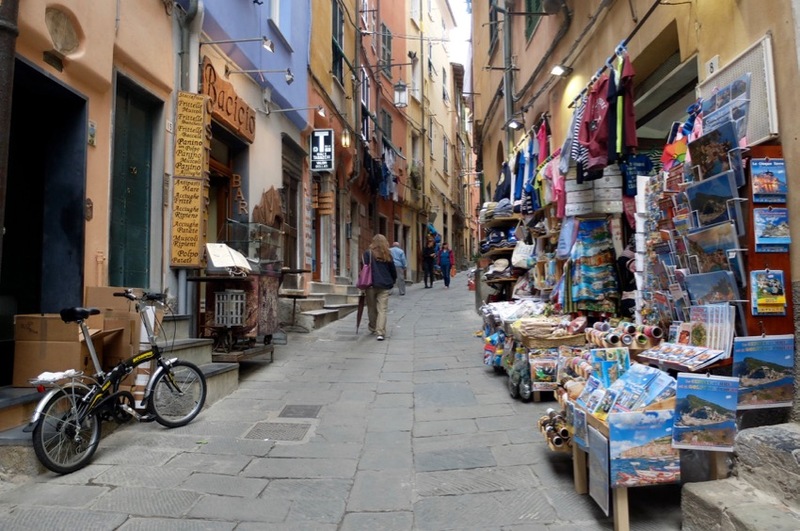 The bright sun held out which meant I could revel in colorful Portovenere as it glimmered in full beauty before the summer rush. The thin terratetto houses, some of which date back to the 11th century, looked as if a giant reached over and squeezed them all together. 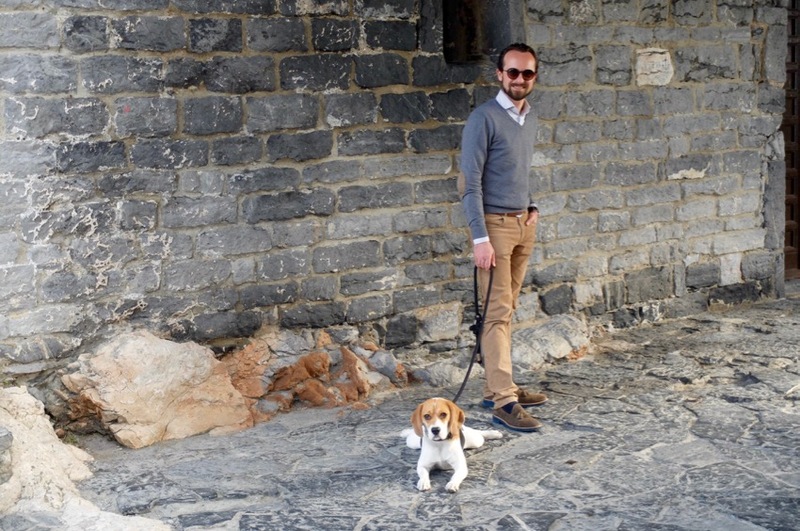 The slight crisp to the wind felt great as we explored each nook and cranny of this charming village, I hold tight to Nico’s hand as Ginger sniffed herself into a canine ecstasy. Must have been those french anchovies. This is my paradise, a packed itinerary of really nothing at all, a first for an over-planner. 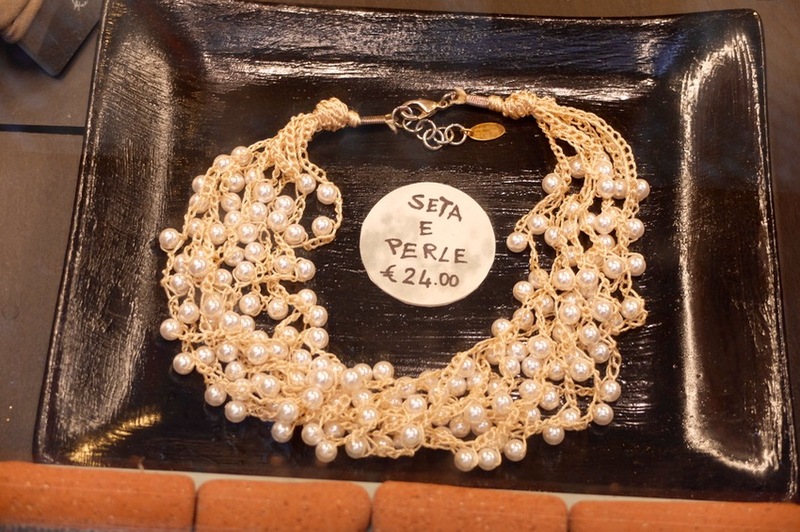 I instead reveled in not having to power walk to my next appointment, and instead took on a leisurely pace as we gazed at cheap pearls inlaid in satin and past signs offering ‘spuntini’ snacks of local flaky focaccia. 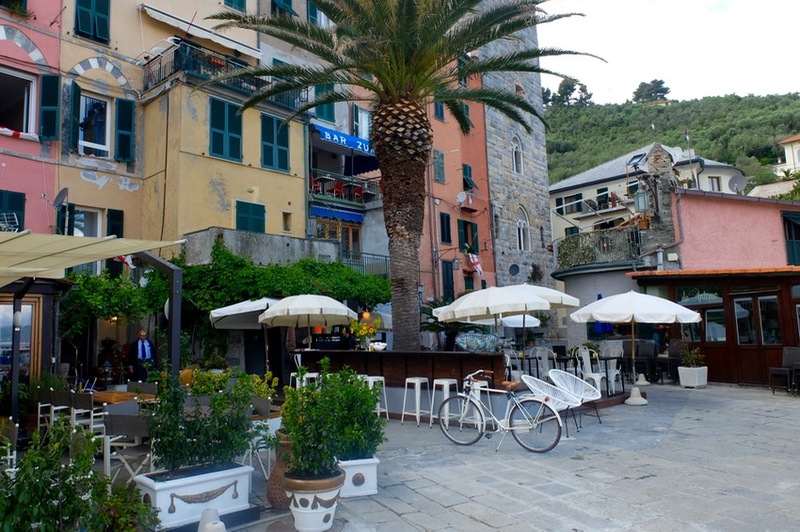 We took the main (tiny) road known locally as a carugio all the way to the Church of San Pietro (which takes all of 10 minutes) and along the harbor for an aperitif at a nondescript bar at the port before heading back to Grand Hotel Portovenere for dinner at their Palmaria restaurant. Half the reason I moved to Europe was for the civilized aperitif hour. 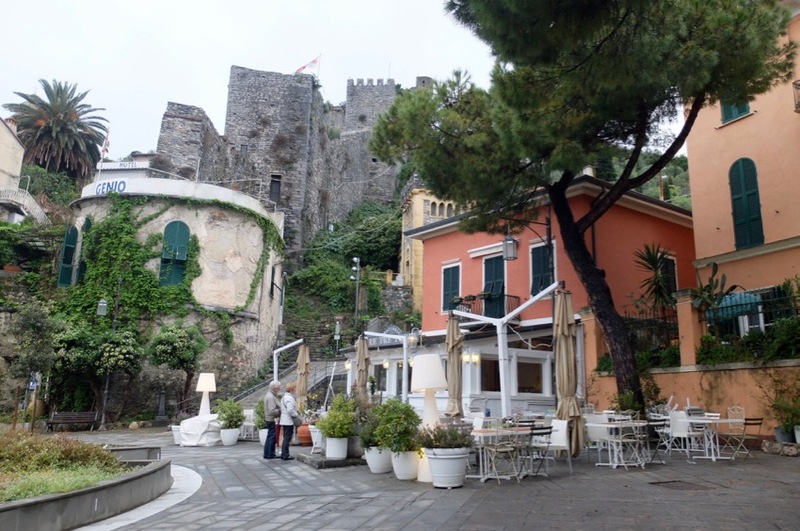 Our first night, we decided it was a white tablecloth sort of affair and dined in Grand Hotel Portovenere’s Palmaria restaurant facing the harbor. 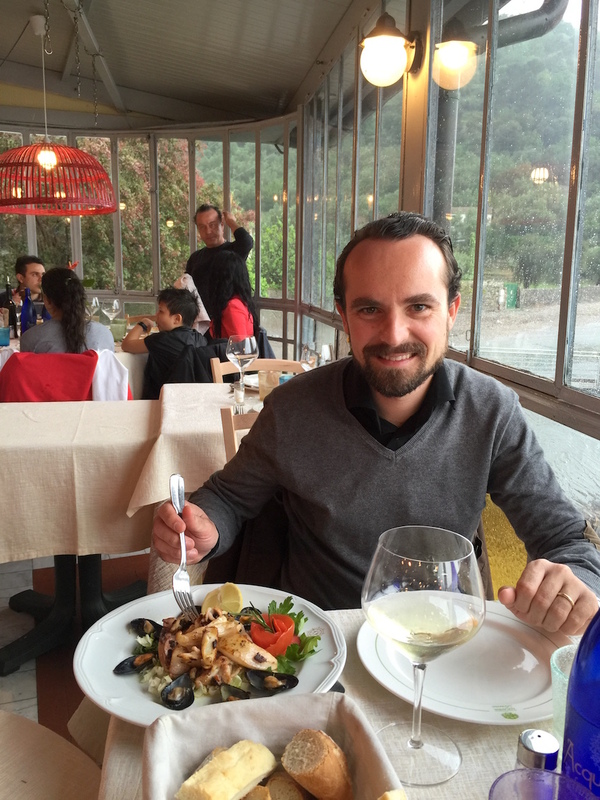 With service to match any fine-dining establishment, the next few hours were a taste journey throughout Liguria. 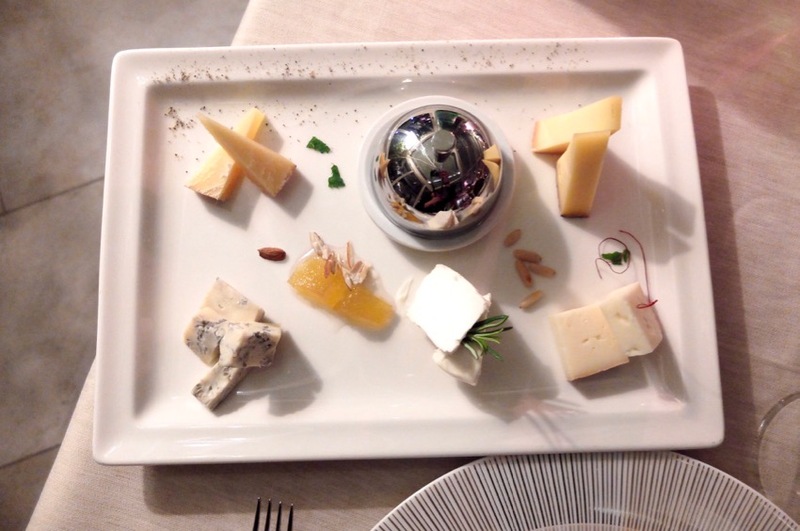 From the kitchen of Executive Chef Francesco Parravicini, we enjoyed a selection of regional cheeses served with delicious ‘mostarda’ a typical Northern Italian condiment made of candied fruit and a mustard-flavored syrup that will knock your sandals off. Next up was a steaming plate of hand-made trofie pasta to share with their own pesto, obviously a staple in this region. Trofie is a short, thin, twisted pasta from Liguria, Northern Italy and the pesto made of garlic, fresh basil, pine nuts and pecorino and parmigiana hugs it just perfectly. There is no way anyone could hate this dish. 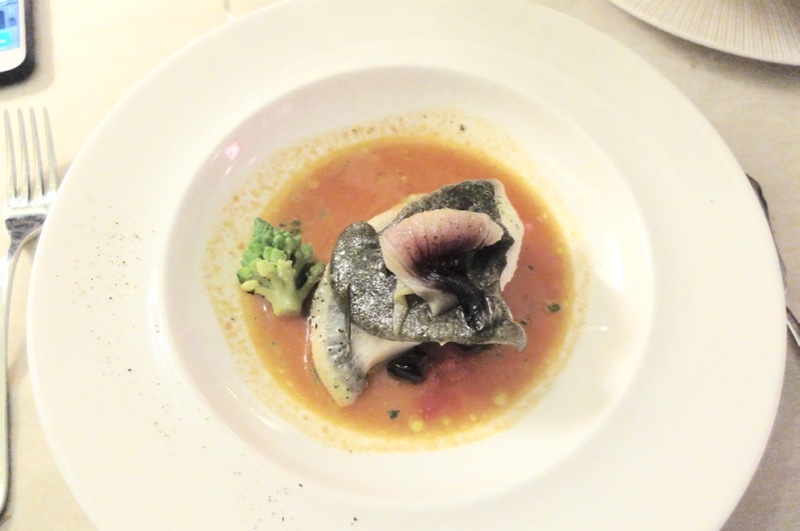 Last but not least was biting into a beautifully-cooked cuttlefish smothered with sweet Tropea onions, Nico went for the monkfish with sweet potato cream and olives. Not bad for the first meal of the trip and certainly it wouldn’t be our last. When we travel, we (try) to actually rest and not get up at the crack dawn unless necessary, heck that’s why it’s called a ‘vacation’ isn’t it? After a quick shower and breakfast overlooking the harbor, it’s time to make our way into the village for a deeper look at the monuments we only had passed by the day before. 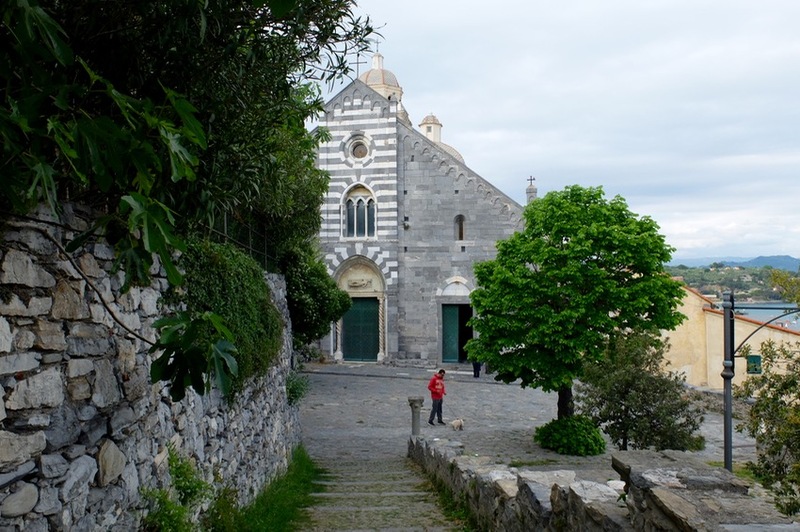 The first stop was San Pietro church, which dates back to the 6th century and consecrated officially around the 1100’s, it stands proud after centuries of occupation — perched on Portovenere’s promontory. Visually impressive, it was apparently built on an ancient temple dedicated to Venus overlooking the bay below and almost appears seamless with the craggy rock. Next stop was Grotta Arpaio otherwise known as Byron’s beloved (and collapsed) grotto, which now features hand rales and a pretty view. The perfect place for quiet contemplation, if you’re into that. Across Le Bocche channel is the small island of Palmaria, which also happens to house a pretty decent fish restaurant, Locanda Lorena. We called the week before to make our reservation even though it wasn’t truly high season yet so space was aplenty. At 12:45, we made our way to the port where a wooden boat awaited us to take us to lunch by the most jaded boat captain known to men. This was likely due to the fact that it was pouring rain, including in the boat, but I had not a care in the world. I grinned like a kid riding a boat for the first time and envisioned crisp white wine in our very near future. Less than 10 minutes later we had docked and looked to our pretty yellow destination on an island mostly uninhabited yet perfect for hiking. Apparently the island has a number of caves best explored by boat which I’ll definitely have to do when the weather warms up here. We shared the mostly empty dining room with a group of boisterous Italians and ordered marinated anchovies and the grilled ‘catch of the day.’ The sharp lemony taste of the anchovies was amazing, you could taste the freshness and I wouldn’t have ruined this moment with bread and butter as tend to do in Tuscany. The simple grilled fish and fizzy local white wine served in a huge carafe was followed by two slices of a simple fig pie made with their own bottled jam. Note to my Italian friends, you CAN travel when it rains! 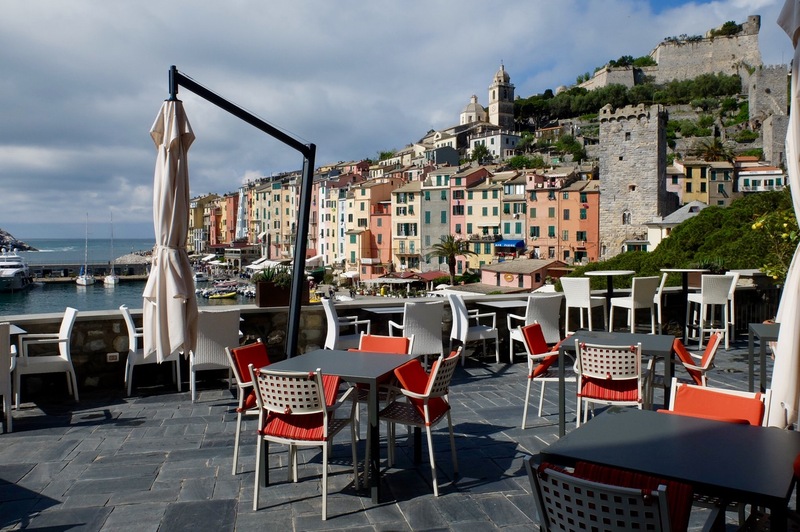 In order to walk off all that delicious food, Portovenere has you covered. 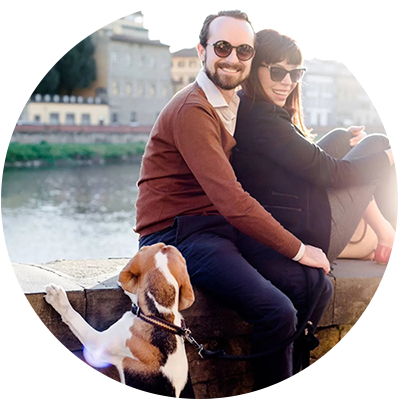 It’s ‘natural’ gym will take you to the famous 12th century Doria Castle built by the Genoise in 1161 and has naturally undergone several renovations in the following centuries. It’s as opposing as they come, on the highest point in the area with great views of San Pietro and the gulf from here. In Napolean’s time, they used this fortress as a political prison and modified areas of the castle to better serve their ahem, needs. 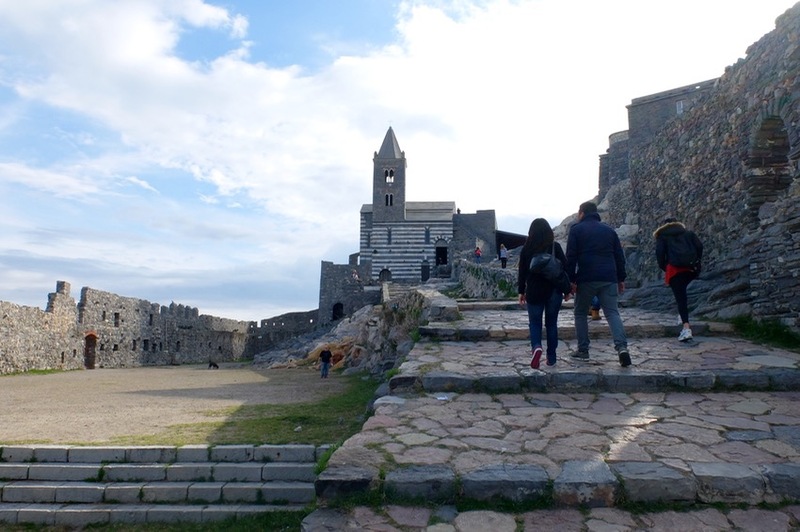 Nowadays its part of the Portovenere touristic itinerary, and is used for wedding celebrations and events, in addition to your general visits. While it’s mostly a stone castle ruin with not much inside, its worth visiting. We felt a bit like Rocky once we reached the top, it is a steep walk and possibly even more so on the way down. We also passed a beautiful cemetery and the Chiesa di San Lorenzo on our way to Doria which is a pretty, nondescript church from which the famous August 17th ‘Madonna Bianca’ celebrations take place. I still have yet to see these village processions carrying religious relics (which always makes me think of the film ‘The Talented Mr. Ripley’ but I certainly will make it happen one day. After all of that walking we needed an alcoholic break, the locals seemed to congregate by Bar Doria, with a nice terrace overlooking the bay. Naturally they know best and for 8€ a pop we enjoyed quite the aperitivo as we rested our weary legs while watching the locals argue about soccer. Dinner-time beckoned and after all of the fish we had had the previous day, I needed a carb-laden break. 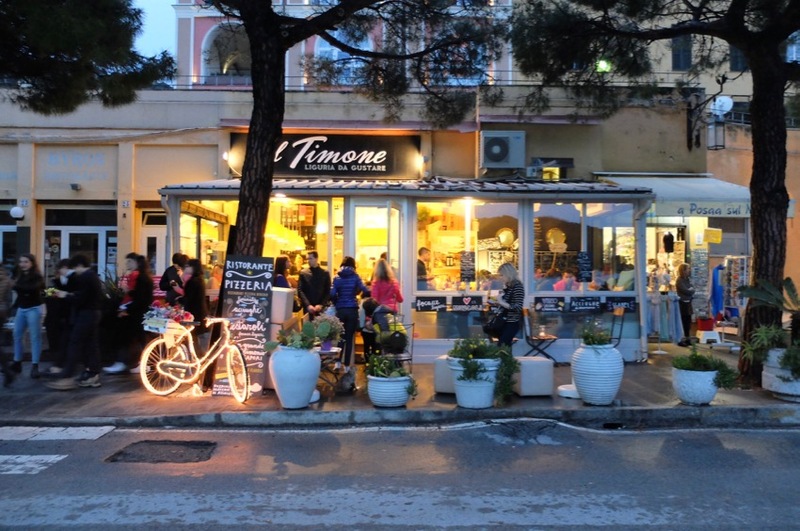 I asked some of the locals where they would go for a pizza or famous focaccia and they all said ‘Il Timone’ was their favorite. It boasts a modern interior yet serves local classics, and affordable set menus for those who asked. The menu needs a little work, it’s confusing but just ask what they recommend. We were on a mission for farinata or Italian chickpea pancakes, so light and greasy, it’s the best way to cure a famished stomach. 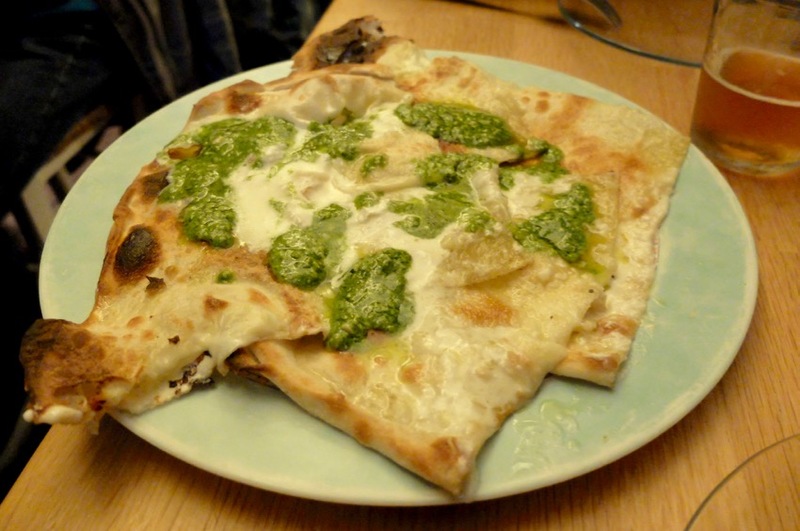 We also also ordered a type of focaccia that was baked in a pan and smothered in homemade pesto and strachino cheese. We murdered this faster than you can say Hannibal Lector. By Morning number two, we felt like true locals. 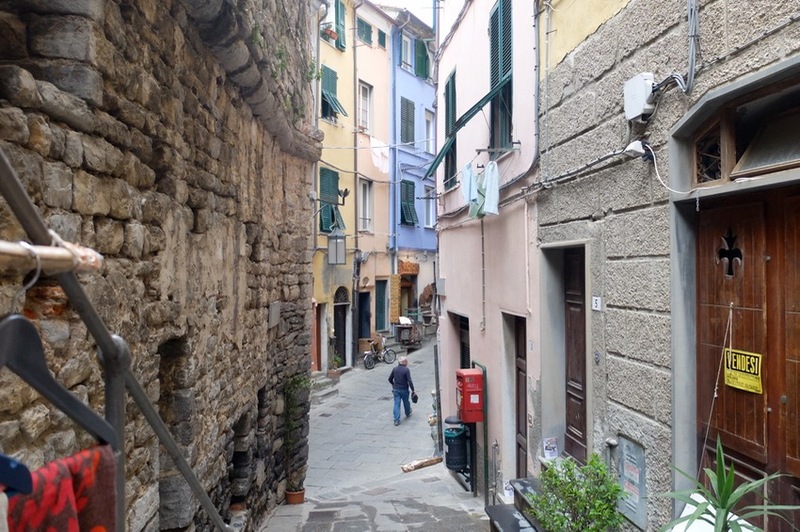 We woke up and had a beautiful breakfast at the Grand Hotel Portovenere and went on one last little walk through the comforting via Capellini. Being Sunday, there were throngs of day-trippers buying pesto and knickknacks. Ginger made friends with the local pups and we scoffed at the tour groups arriving in mass to traipse through the city for 20 minutes before leaving to Cinque Terre. Byron made have made this place famous, but its peaceful ambiance right before dinner is why I fell in love with the place. Sure, I might have gotten yelled at for taking a picture of one lady’s stall by the main gate and even so, we didn’t went to leave. Yet Parma was calling and I already had pumpkin tortelli on the brain..
Additionally I made this short video (below) that you can see a little summary of our trip, to see in the best resolution choose changed the settings to HD 1080 pixels by clicking the little gear button. 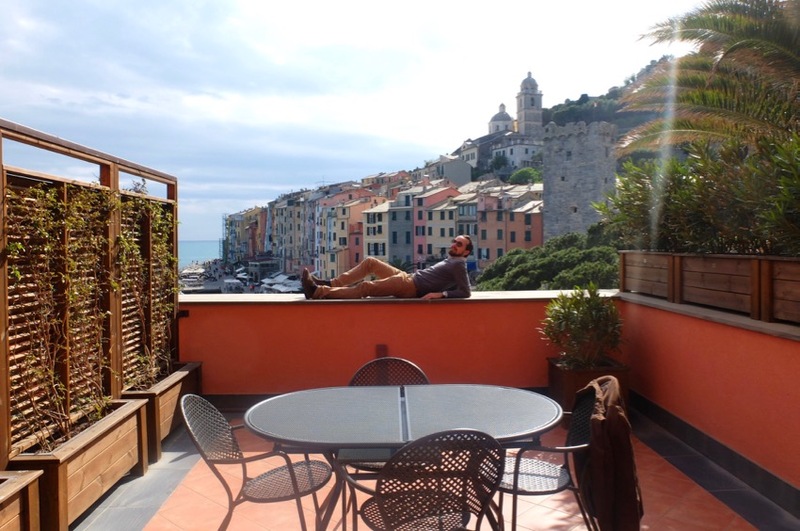 *Disclaimer: I was invited by the Grand Hotel Portovenere to stay for two nights however all opinions in this article are 100% my own and I stand by them. I decided to forgo the google map in this list because quite honestly Portovenere is the size of postage stamp and you don’t need it :). Just get lost (on purpose). Phone: +39 0187 777751. They do have valet parking (20€ a day). Chiesa di San Pietro, opened in 1198, located on Lungo Calata Doria, 19025 Portovenere SP. Free to enter. 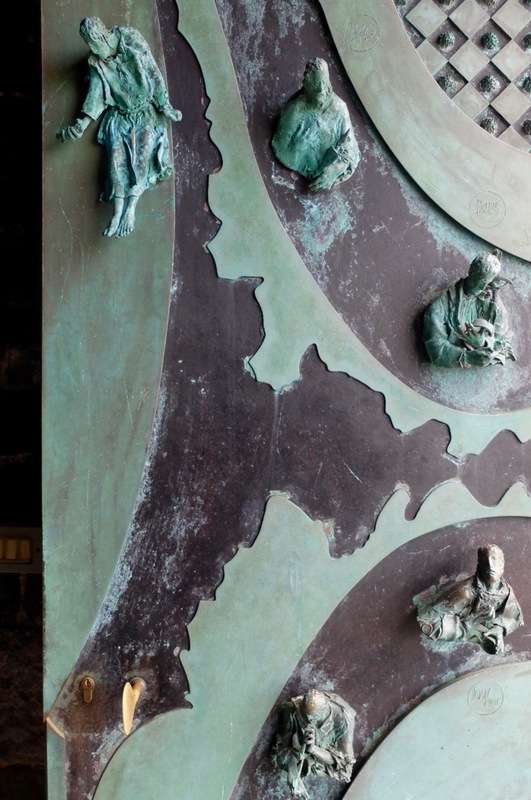 Check out the statue of St. Peter and very interesting detailed turquoise door. Church of San Lorenzo, on the way to Doria Castle you’ll pass this pretty church built between 1118 and 1130. It is from here that the ‘Madonna Bianca’ festival on August 17th departs. address: Vicolo dell’Oratorio, 6. 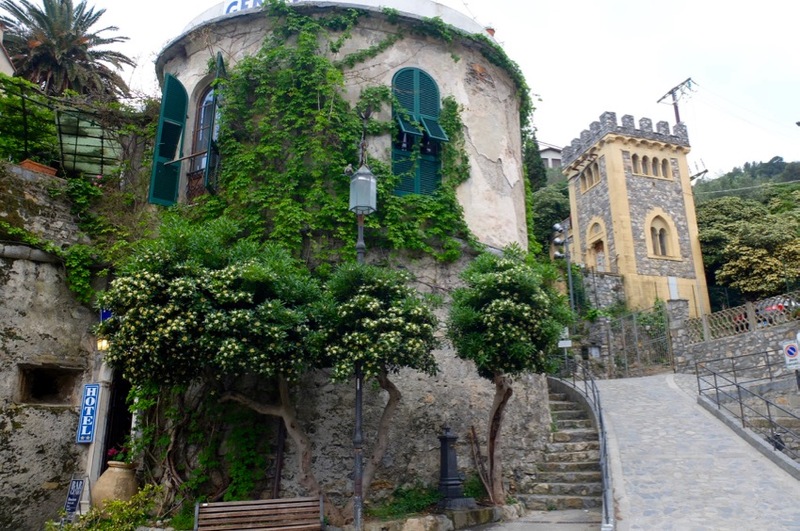 Doria Castle, a must visit as one of the most important areas of the gulf and the former property of the powerful Doria castle. Price: € 5. Opening hours: 10.30am – 6.30pm. 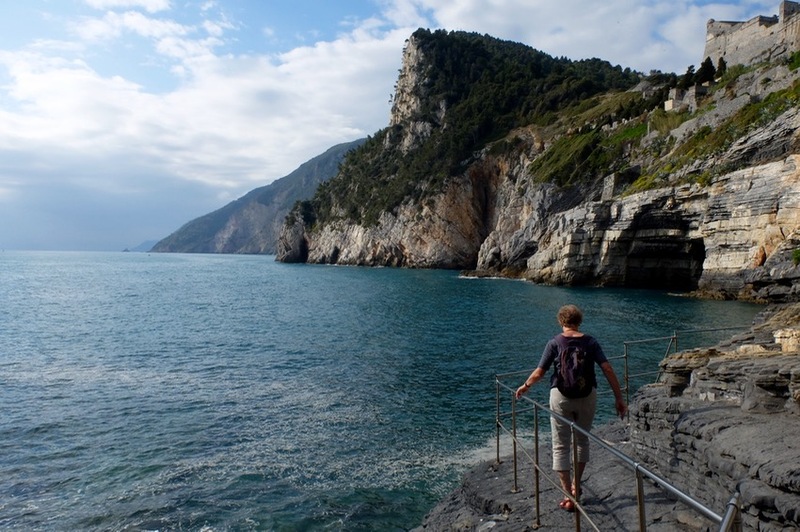 Byron’s grotto aka Arpaio Cave, near San Pietro church this is a must-see for anyone coming to Portovenere. Meditate to your liking but dear god, please don’t slip! Where to shop, more tips here. 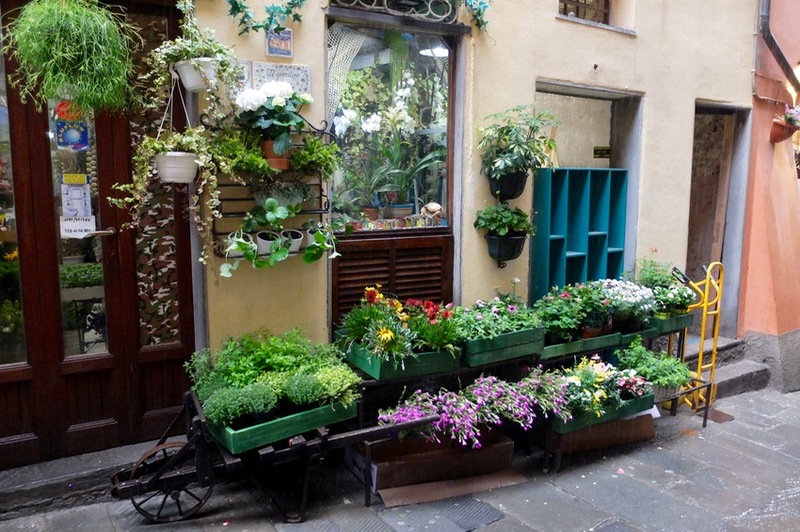 Bajeico ‘pesto shop’, you can’t miss this green explosion of a shop. 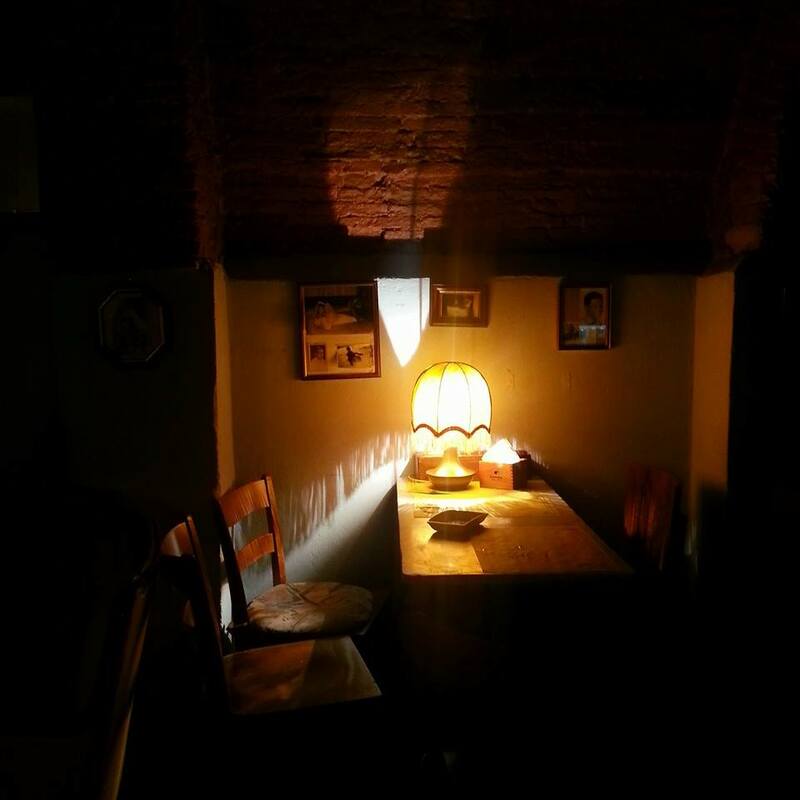 address: Via Capellini, 70, 19025 Portovenere SP. 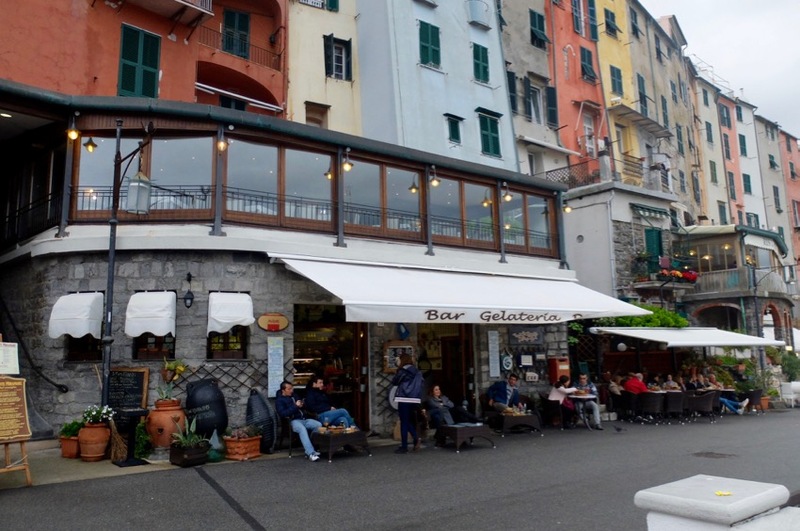 Palmaria Restaurant (gourmet), address: Via Giuseppe Garibaldi, 5, 19025 Portovenere SP. 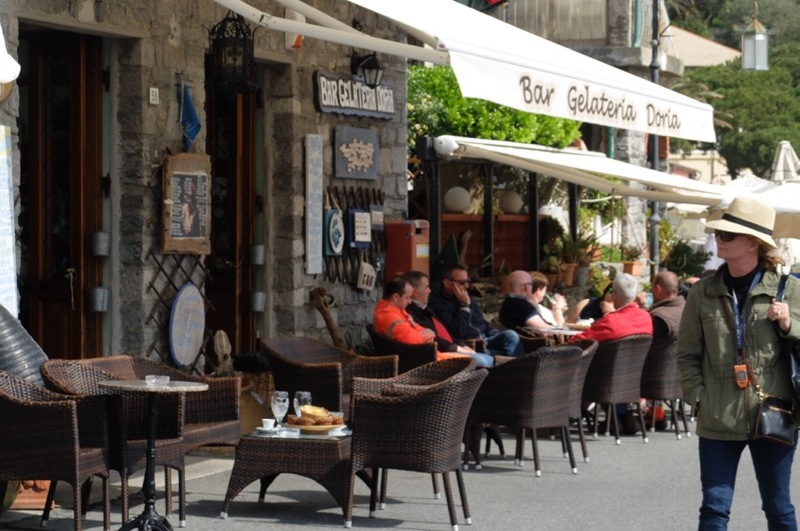 A very nice, romantic location serving up traditional and seasonal delights from the area. Book ahead. +39 0187 790570. Locanda Lorena, Isola Palmaria, Porto Venere, Italy, book ahead. +390187792370. Website. 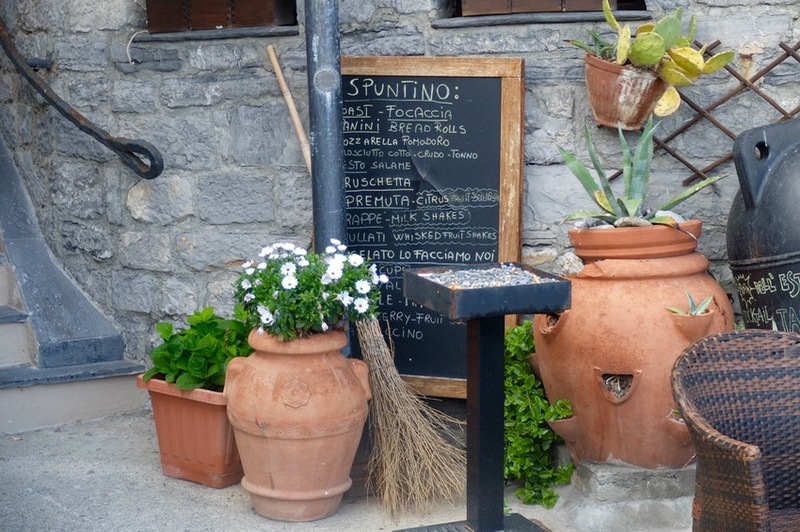 Specialities are prepared by locally-famous chef Giuseppe Basso. Prices are medium (we spent around 25-30€ a person with house wine). 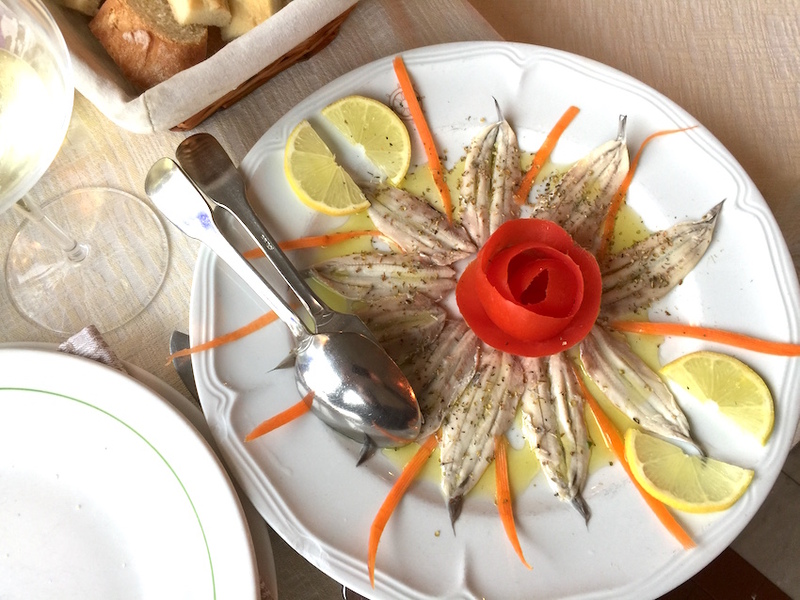 TRY the marinated anchovies. 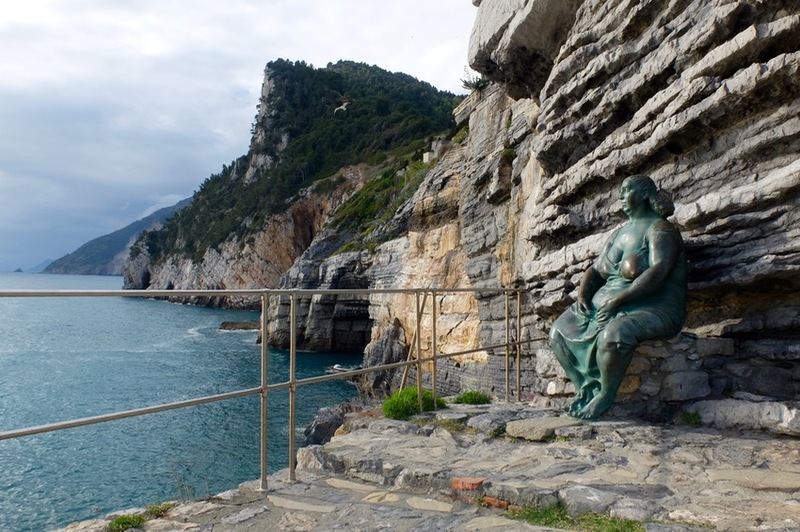 Portivene, Un Mare Di Sapore, addusse: Via Capellini, 94, 19025 Portovenere SP. 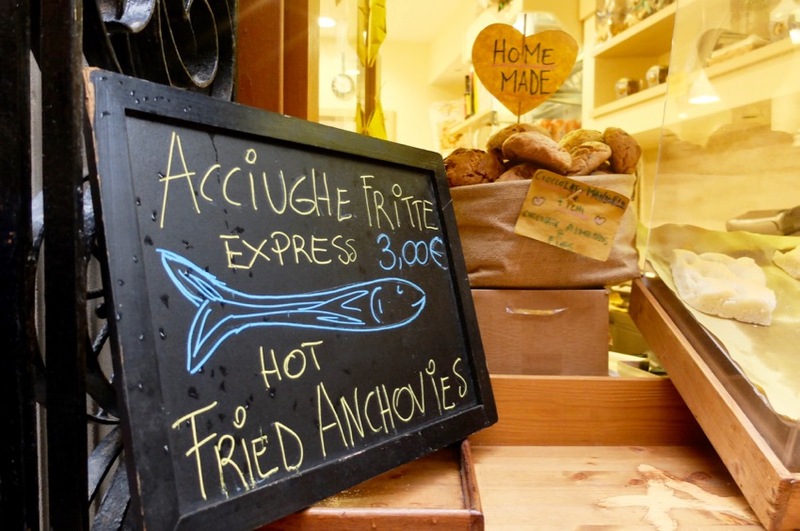 A cute spot recommended by a visiting professor in Florence, it has a delightful interior and serves local fish favorites. Book ahead: +39 0187 792722. 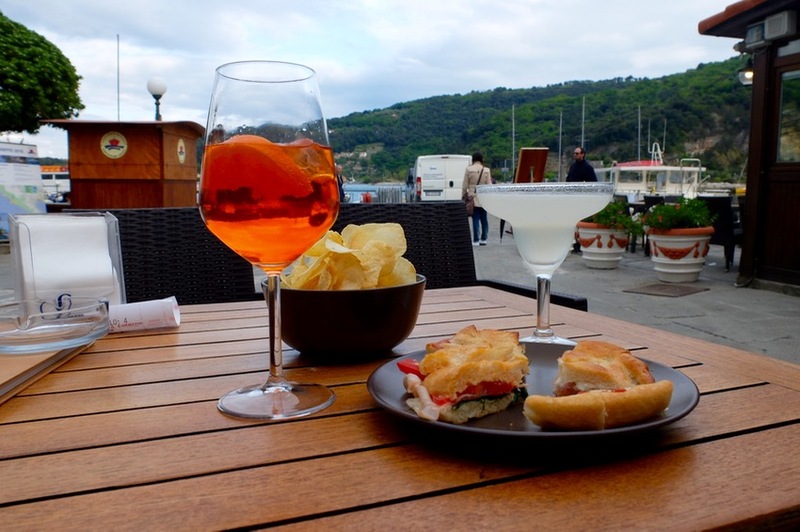 Bar Doria for cocktails by the sea, address: Calata Doria, 58, Portovenere SP. 8€ a drink with snacks. Phone: +39 347 260 1008. Reservations highly recommended. Portions are smaller than you might imagine. Notable Events, for more check out this post. June 24th, Festival Of San Giovanni Batista, an important local festival celebrating its Patron Saint John the Baptist. In addition to folklore and gastronomic delights, a special regatta and ‘palio del golf’ will taken place on this day. 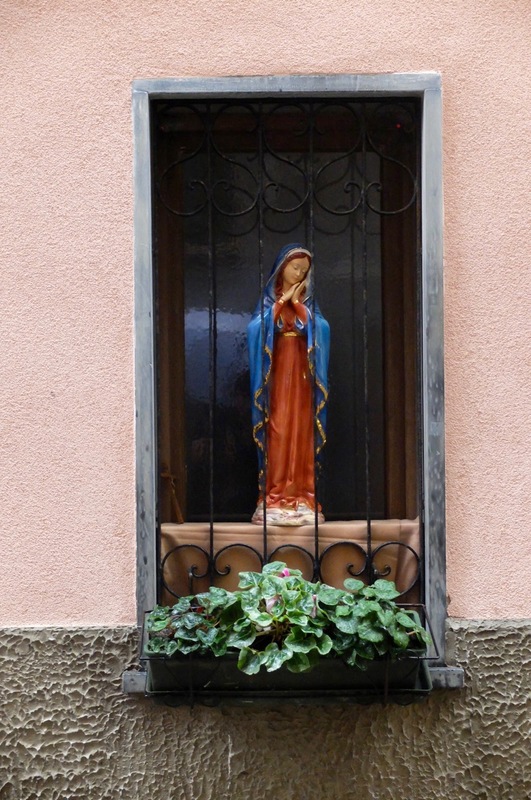 August 17th, Festival Of The Madonna Bianca. 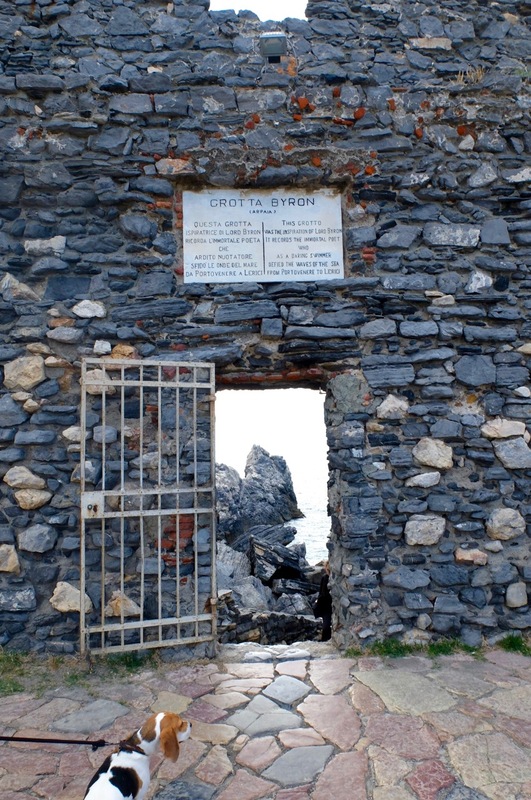 Imagine over 2000 roman torches placed all over Portovenere, including Byron’s Grotto and the Church of San Pietro. On this day there will be a procession carrying an icon of the Virgin Mary through the streets of the village. Swimming competition – XXXV Coppa Byron Portovenere, August 28th, 2016 from Portovenere to Lerici as Lord Byron once did. This annual swimming competition is for competitive open air swimmers only. More info including how to register here. Festival of Basil is at the end of April in piazza bastreri where food stands will be selling a delightful array of local traditional foods. Love your writing style and appreciate your summaries. Its got me really wanting to go there come rain or sun! Thank you so much Francis, I really appreciate that! Loved this particular post. This inspires me to get serious about getting back to my Italian lessons. Your descriptions of each day put me right there with you. Keep up the great work! ? Ciao Chiara! I strongly recommend it, much of the beauty of Italy can only be truly interpreted once you learn the language. Thank you so much for your kind comment about the post! 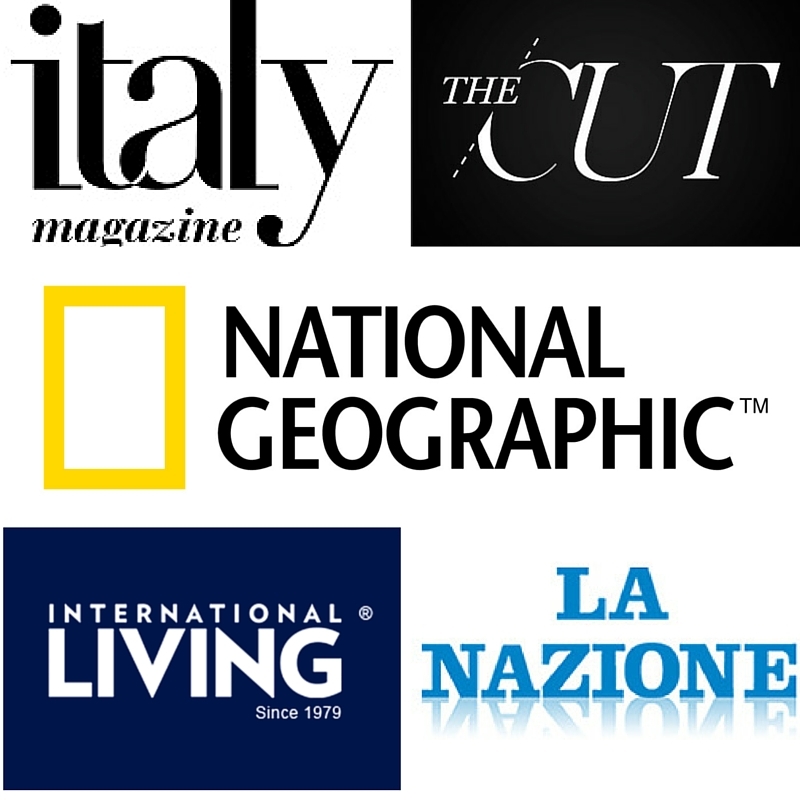 On our way to Italy this month and really appreciate all the great info from you ! Especially all the great Florence info. Thx !! Ciao Debbie, thank you so much! I love sharing our experiences on the blog and hearing this makes me more motivated to keep writing. Let me know how your trip goes! Thank you for a wonderful post. I think I left my heart here last month.. and to think I tried to talk my husband out of the óptoinal experience’to this marvellous part of the world. Loved the shop with the pasta curtain 🙂 I am hoping to return in the next few years to do the trail by foot ! 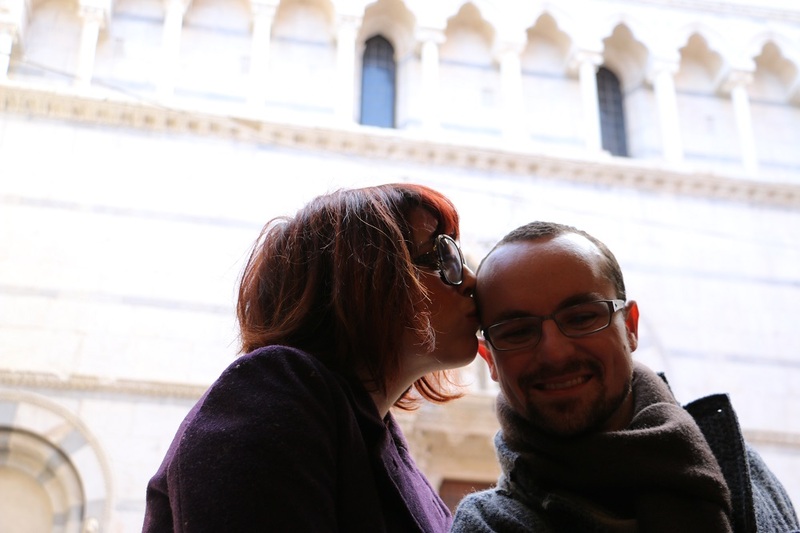 Ciao Fiona, thank you so much for reading and leaving your thoughts. This was a wonderful surprise for Nico and I and it’s inspired us to get out and seek more beautiful spots in luscious Liguria. That pasta shop was a popular spot too :). Seriously cannot wait to get to Portovenere and will be using this for a reference! 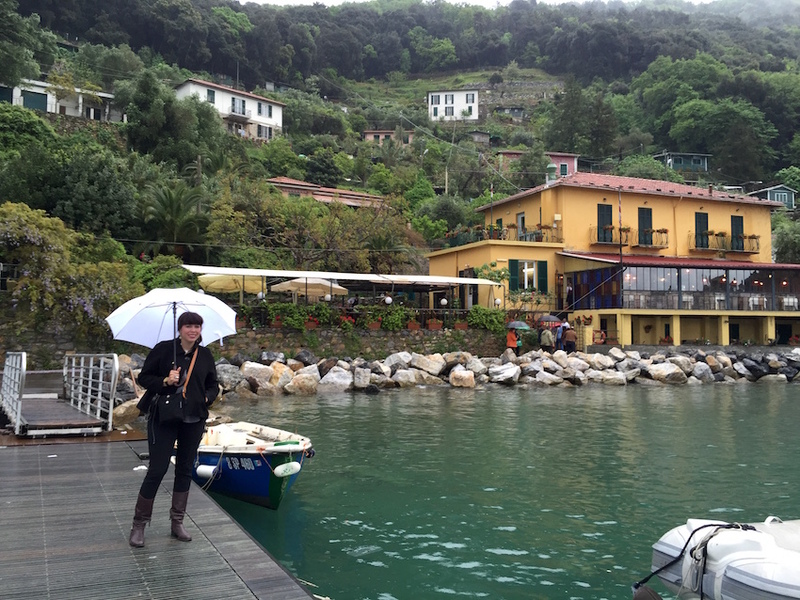 Love all the Italian Riviera options out there – it’s so much more than the Cinque Terre. 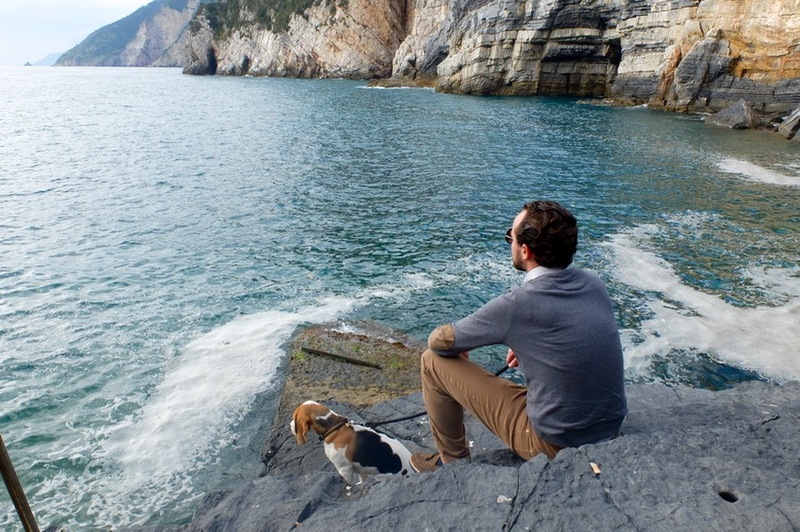 I had one “perfect day” and fell in love last summer in Portovenere . ..thanks for taking me back to that day with your words and lovely pictures. 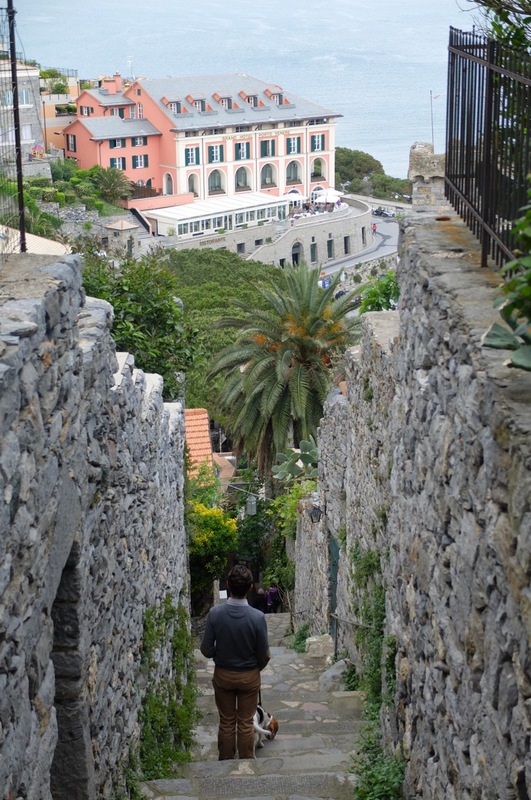 Liguria has lots of lovely places with wonderful people and a rich history . 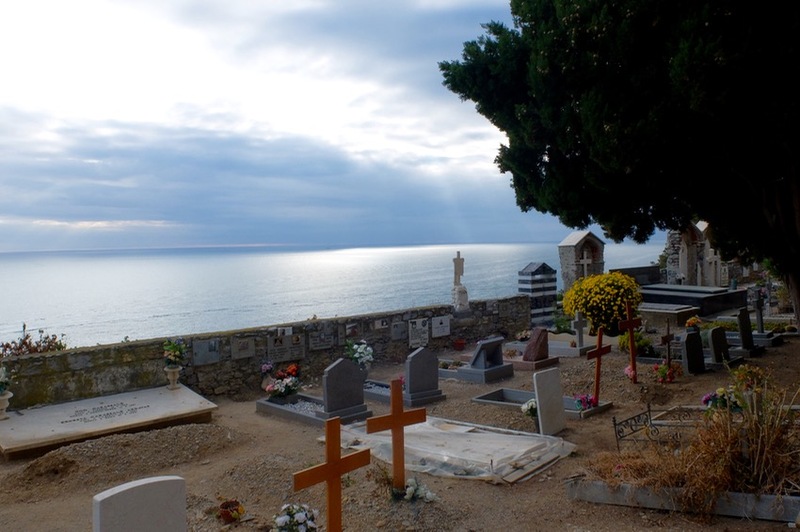 I hope you get the chance to visit more of Liguria . Isn’t it just wonderful? I really felt like this place was something special and not just because Byron set foot here. 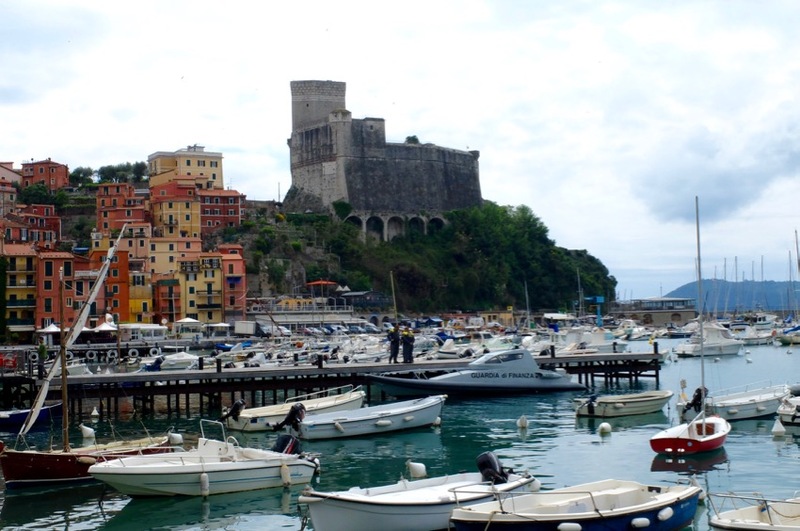 I do also hope to see more of Liguria, so far Lerici, Levanto and Portovenere are my favorites. Thanks for the return trip to Portovenere. 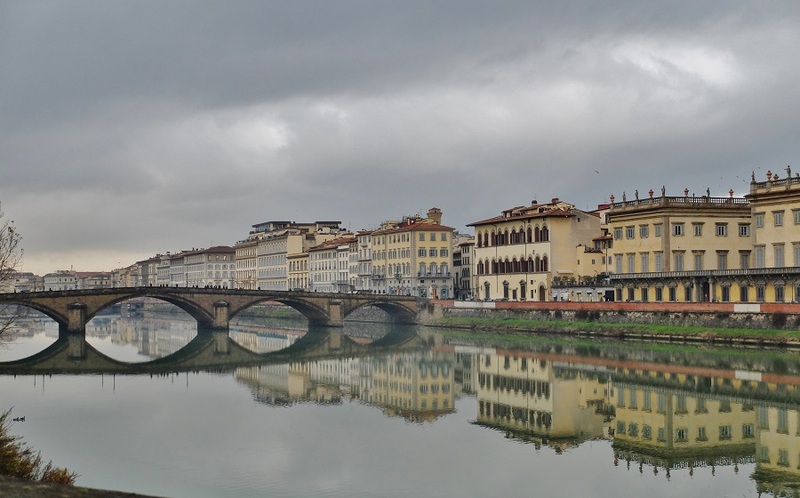 We spent a week there when our daughter was married in the Castello Doria the first weekend in October a few years ago, with a magnificent 8 course dinner reception at the Grand Hotel. We rented a flat just around the corner from the hotel and lived like locals for the week. Every morning my husband would walk to the bakery for warm from the oven focaccia. It was a magical week. I returned for an overnight visit 3 years later with my oldest granddaughter who had not been able to attend the wedding. Even a short overnight visit was wonderful. I really enjoyed reading your post. 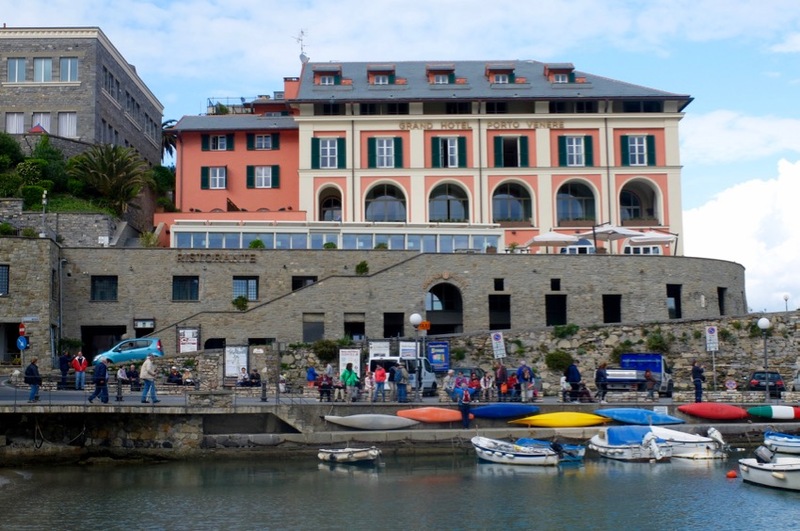 We are staying in Portovenere for 3 days in late September. The info and pictures are a wonderful base to work from. Thank you! Hello Jeff, thank you so much and I’m happy you found this useful! 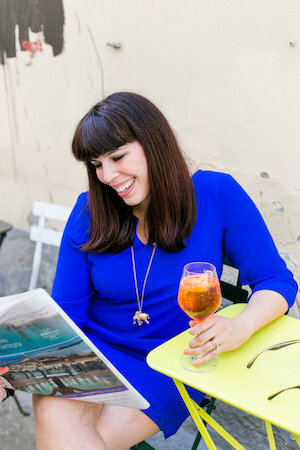 I bookmark your posts to use when planning our trips to Florence but I am loving your trips to other parts of Italy! This is a town I would probably have overlooked but definitely will include in for our trip this Fall! Thanks for all the wonderful info! You are very welcome Joanna, this is a really special town and I loved exploring each sea-drenched corner. I mean if Lord Byron was a fan… you know it’s gotta be good!